Alan Feirer is a leadership trainer, Authorized Wiley DiSC Partner, Five Behaviors of a Cohesive Team Authorized Partner, and organizational development consultant. For the last 18 years, he has done business as Group Dynamic, helping people solve problems and get more done by working with managers, directors, leadership teams, staffs, and team members to maximize the potential of their organization through leadership training, coaching, team-building and communications training. As team members, you know that change is inevitable, but when major changes come along, stress and drama increase and satisfaction and work productivity decrease. This workshop will help develop coping mechanisms to deal with change, starting with a deeper understanding of what happens during change. Understanding the Kübler-Ross Change Curve, and how it applies to teams experiencing change. Learning what people need at each stage of change. 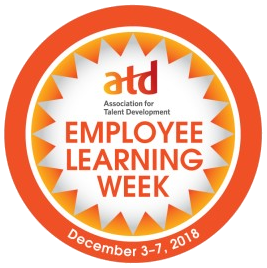 Learn more about Employee Learning Week by clicking the logo below!